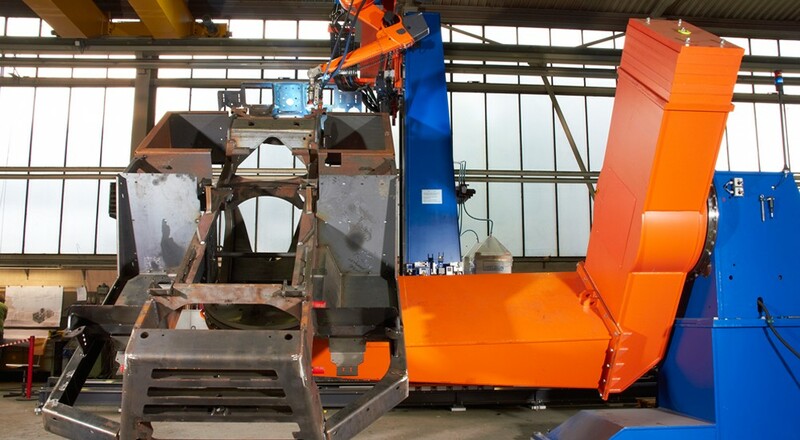 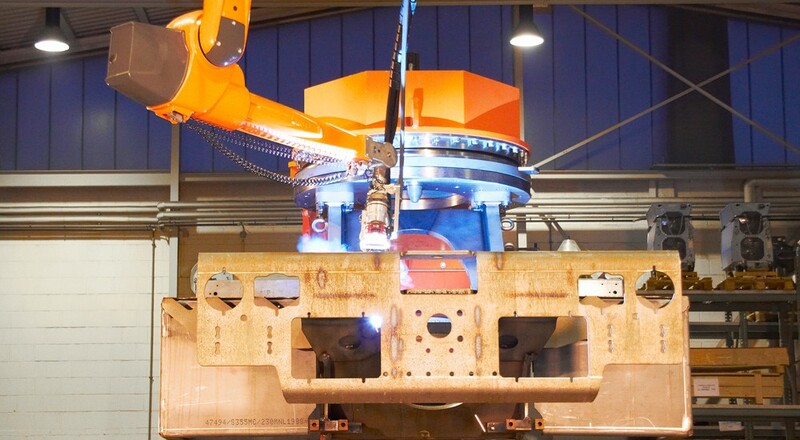 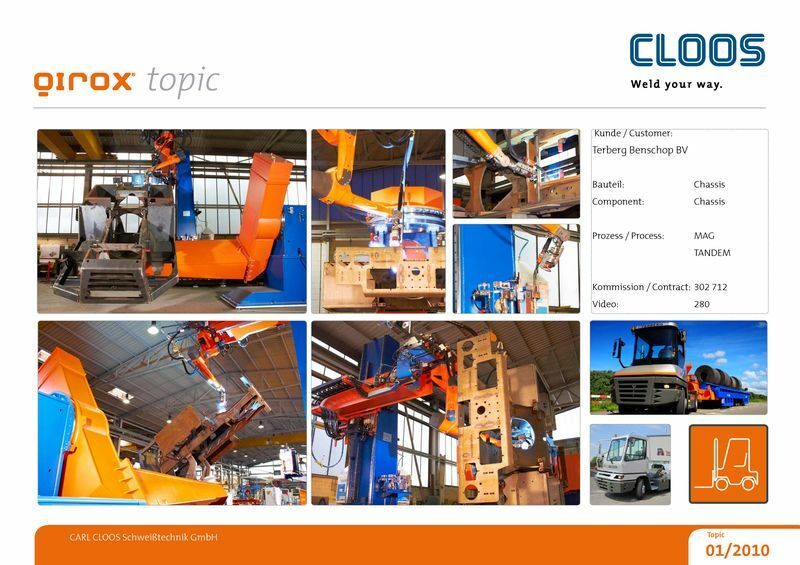 The CLOOS welding robot system welds vehicle chassis for the industrial vehicle industry weighing up to 5 tons by using the high-capacity processes Speed Weld and Tandem Weld. The processes are automatically changed via a torch changing system. A laser sensor which is integrated in the manual flange detects the workpiece tolerances. 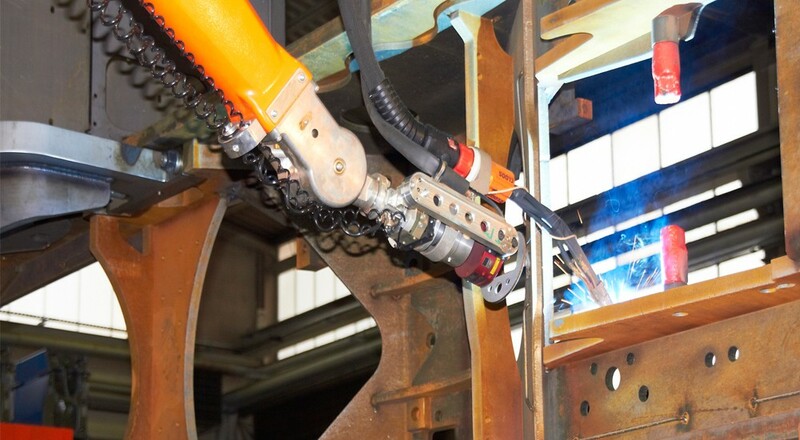 The measuring data allows an adaptation of the stored spatial points to the workpiece tolerances and ensure an optimum weld quality. A floor-mounted linear track with vertical and transversal stroke increases the working range of the overhead mounted QIROX welding robot. 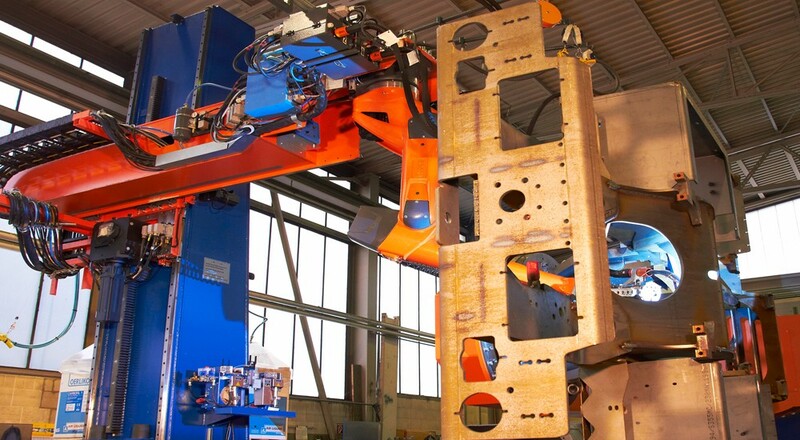 The workpiece positioner with swivelling and turning axis ensures the perfect positioning of the chassis frame.